The “Dor Haba” camp 2019 will take place the last week of June (27.06-01.07) in Netanya. 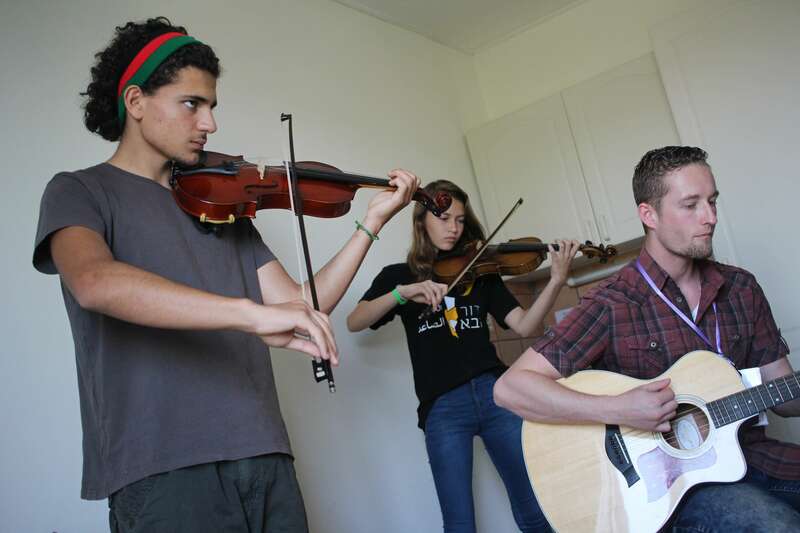 The Dor Haba camp is for Jewish, Arab, and international teenagers ages 13-18*. Our vision at this camp is to see them develop a lifestyle of worship and prayer and deepen their relationship with their Creator. The goal is that from that place of intimacy with Him, they would use their gifts, talents, and creativity to be a light in the culture and a blessing to the body of the Messiah. *If you are over 18 and would still like to come and benefit from this camp, there is an option to volunteer on “young staff” in the area of logistics, sound, set-up, registration, small groups…etc. For this, you also need to fill out the regular registration form online and you will be guided through a series of questions. We will worship together, hear teachings, and meet in small groups to learn about God’s story. We will learn how to communicate that story in a creative way so as to be a light into the culture. There will be time to get to know each other, swim, play soccer, and hang out. Everyone also has the chance to share a song/skit/talent at the Open Mic Night. Everyone who wants will be placed on a worship team and learn in that context as well. 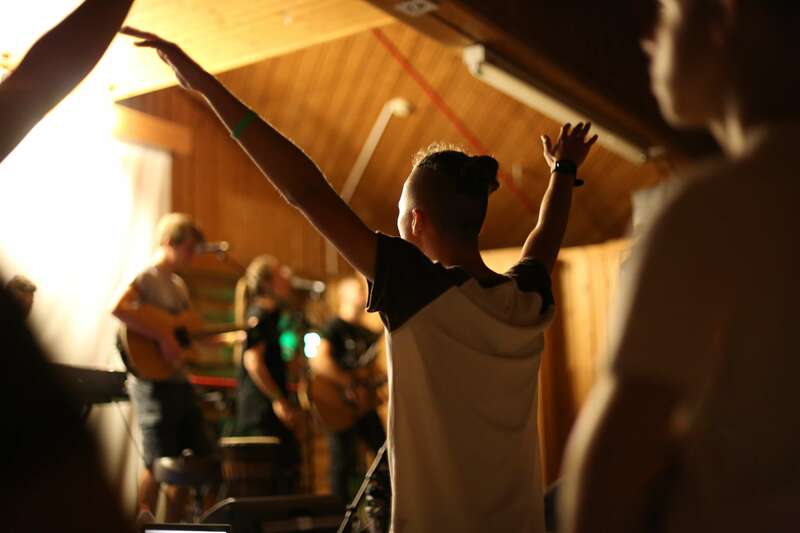 YOU guys – the youth – will prepare and lead a Creative Night of Worship and Prayer the last two evenings of the camp (29.06 and 30.06), to which friends and family will be invited. The camp will be conducted in Hebrew and in Arabic. There will be local worship leaders and teachers as well as guest teachers coming from Singapore, the U.S. and England. Some lessons may be translated from English, but nothing will be translated into English from the front. Many of the youth are also English-speakers and would be willing to translate into English for someone else if needed. This will be a great opportunity for you to get built-up in the Lord, develop your talents, and make new friends with other believing teenagers. We offer a discounted price until April 31st (31/04). Registration closes May 30th (30/05) or earlier if places fill-up. Space is limited to 100 youth! All necessary forms (Parental Consent, Rules and Guidelines, and the exact address of the hostel) will be sent to registrants over E-mail. 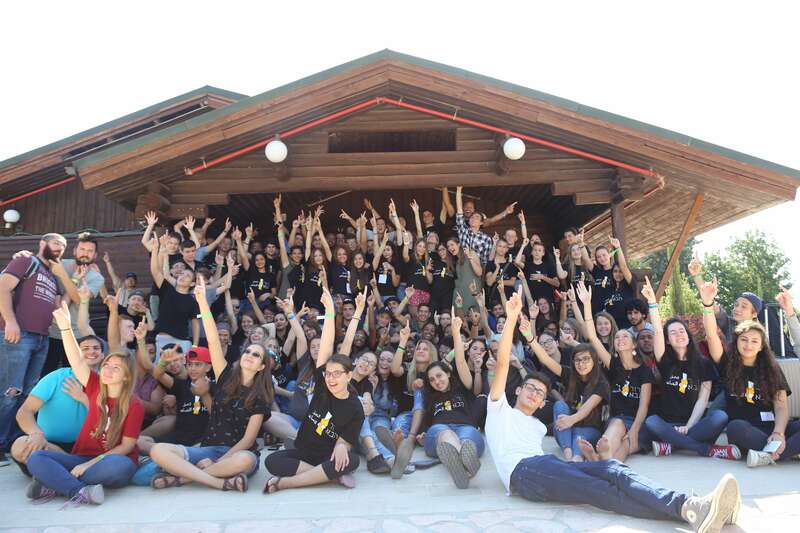 The camp costs 400nis if you register before May 31st, 500nis if you register in after that. Financial aid is available for siblings, families in need, and families in ministry. Do not let money be the thing that stops you from coming. Simply request financial aid within the “Payment Options” section of the camp registration form. 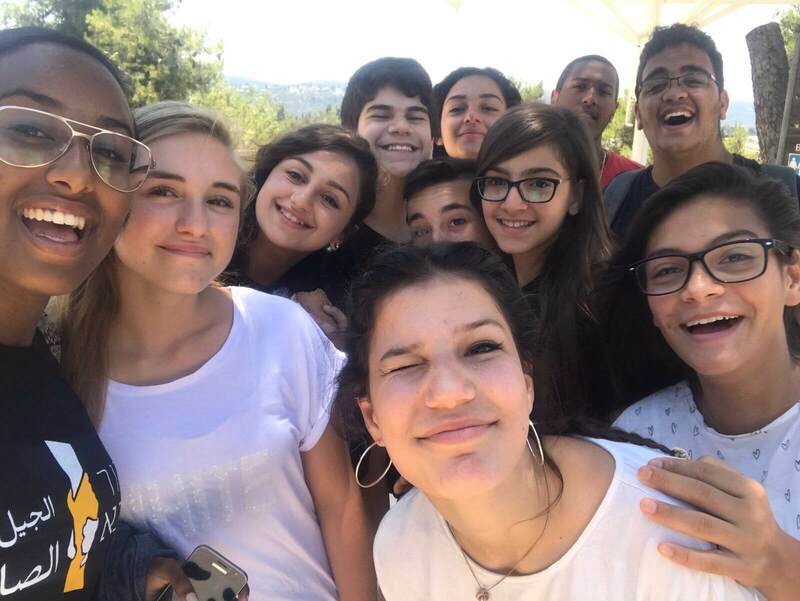 There will be transportation TO and BACK from the camp (for an extra fee of 60nis) from Tiberius, Nazereth, Haifa, and Jerusalem. 30nis from Tel Aviv. We can also transport from the south if enough register from there. After the camp, there will be free rides to the bus station in Netanya for those who aren’t going on the buses the camp provides. If you have any questions, you can email us at info@dorhaba.com and someone on our team will get back to you. This can be your email or the email of a parent. City where you are living now. What Church or Kehila do you go to? The grade you will be in 2019-2020. If you are 18 and over and have finished high school, you may be able to attend the camp as a young adult leader or helper. 12, but I'm in 7th grade131415161718 - "I'd like to attend without being a helper on "young staffI would like to come help as part of the "young staff" - 1819 - I would like to come help as part of the "young staff"20 - I would like to come help as part of the "young staff"21 - I would like to come help as part of the "young staff"22 - I would like to come help as part of the "young staff"23 - I would like to come help as part of the "young staff"
Those ages 19-23 can come to the camp as long as they are serving on one of the “young staff” teams. During free-time, there is the possibility of swimming in the pool there. Is there anyone specific you'd like to share a room with? We're not promising but we can try to put you in the same room. Either way, you have the chance attend the camp. What class track would you like to learn at the camp? You will have three classes of 45 minutes in your major plus all group workshops. 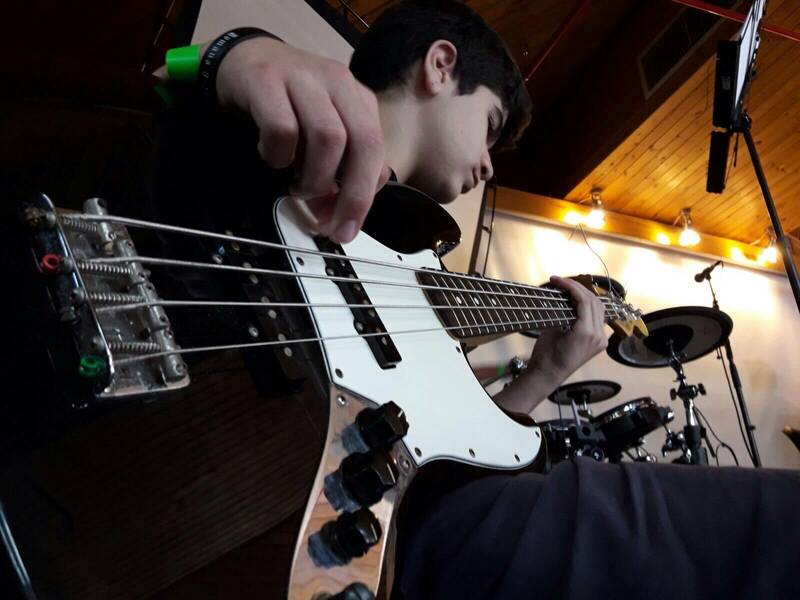 Example: If you choose guitar, you will be in the music workshops. If you choose photography, you will be in the art workshops. You will have one intro class of 45 minutes in your minor plus the option of choosing one or two creative workshops in the area of your minor. Leading people into prayer and intercession on a certain prayer topic. This includes praying and/or reading a scripture from the mic during the worship. I know how to pray but I've never led prayers at a prayer meeting or from a microphone.I know how to lead prayer from the mic and i'd like to learn more how this fits with worship. Choose whatever sentence most describes your level, even if it is not totally exact or accurate. I like to sing and I can sing on beat with a guitar or piano, but I'm not very confident.I like to sing and I can sing on beat with a guitar or piano. I can sing and lead other people to sing a song.I have experience singing in a worship team or choir. I know how to sing harmony and how to control/project my voice. I don't know anything yet, but I would like to learn.I know a few basic chords and rhythms, but I have a hard time moving quickly from chord to chord. I can play a few worship songs.I know major and minor chords, several rhythms and I can play many worship songs but there are some keys that are hard for me and sometimes I don't know what rhythm is right for a song. I use a capo but I don't know what key the other musicians on the team need to play in if I'm using the capo.I know all the major and minor chords, bar chords and chord variations. I know how to transpose keys and use a capo. I have no problem playing on beat with other musicians. I don't know anything yet but I would like to learn.I know some basic chords on piano and I can play several worship songs.I know all the major and minor chords and various rythms. I know how to play chords in several ways and how to move quickly and easily between chords.I know all chords, scales and inversions. I have experience playing keyboard with a team. I know how to flow between songs and improvise.I’ve been classically trained on piano, but I’ve never played piano on a worship team. I don't have a lot of experience on electric guitar. But I play guitar or bass and I'd like to learn about electric guitarI know guitar scales and bar chords. I also know how to use guitar pedals and create different sounds. I'd like to start learning bass.I know the notes on the neck of the bass and know how to play simple worship songs.I have experience playing on worship teams but I haven’t taken hardly any lessons and I would like to learn more techniques.I know scales and thirds. I know how to improvise and how to play basically any worship song. I'm just starting to learn drums and I don't know much.I know one or two basic beats and how to play them with a team.I know how to play a variety of beats and styles of worship songs and I have no problem playing with a team and generally keeping the beat. Sometimes I get off the beat for a second or have trouble with fills.I have experience playing with several different worship teams or bands at my congregation and youth group. I'm a solid drummer but I would like to learn how to be more creative and sensitive in my drumming. I am just starting to learn on violin and I don't know much yet.I have had lessons and know how to read music, however I've never played with a worship team and I don't know how to improvise.I've had lessons and played on worship teams and I know how to improvise. I don't really know how to play, but I'd like to learn.I've never actually learned but I know how to play several rythms and how to keep a steady beat on slow songs and fast songs.I know different rhythms, styles and techniques. I know how to play along with a team. I don't know how to play oud but I would like to learn and I'm already experienced on guitar.I already play the oud. I know chords and scales. I am just starting to learn on flute and I don't know much yet.I have had lessons and know how to read music, however I've never played with a worship team and I don't know how to improvise.I've had lessons and played on worship teams and I know how to improvise. I don't know anything, but I would like to learn.I know a little bit (the basics), but I'd like to learn more.I have experience running sound at my church or youth group. I like filming and editing videos on my phone and I'm interested in film and music video production.I have experience filming with a professional video camera and editing with a professional editing program.I am interested in the process of film-making (creating video concepts, storyboarding, scriptwriting, directing). I like taking pictures and I think I have a good eye for it.I have learned about photography and I love it! I would like to learn more. I like drawing, and I'm good at it, but I've never learned about it.I have experience drawing and painting at school.I love to draw and paint! It is my passion. And I have some experience in it. I like dancing, and I'm pretty good at it, but I've never learned about it.I love to dance various styles and I'd love to learn more about how dance goes with worship.I take dance lessons, but I don't have much experience dancing for worship. Please record a video of you singing or playing a song (one chorus only) on the instrument you chose. This is not mandatory but it will help us place you in the right class. For example, do you have two guitars or a darbuka and are willing to let someone use your extra instrument? Don't forget to label EVERYTHING (the case and instrument) with your name on a piece of tape. This does not have to be the same as the instrument you are learning at the camp. For example, say you would like to learn keyboard at the camp, but you're really a guitarist (it's your main instrument that you already know). You can choose to play guitar on a worship team instead of keyboard if you'd like. Would you like to be on a mixed-language worship team? No, I'd rather be on an English-only worship team. What are some of your favorite, popular worship leaders or worship bands? What are some of your favorite Hebrew or Arabic worship songs? Why would you like to come to the Dor Haba Worship Camp? What are your hopes for your time there? I would like to pay for camp registration now online. I would like to pay by cash or check at the camp. Explain other reason you are requesting financial aid.